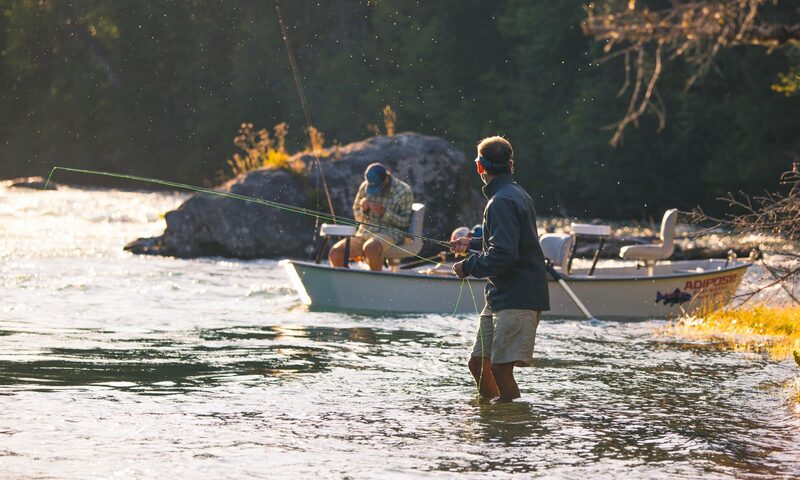 Although we have a bit of rain in the forecast, it’s looking the river above the Teanaway will stay fishable, and it’s been fishing really well. Right around 1, the Blue Winged Olive’s and Skwala’s have been awesome! Fishing slow tailouts and inside corners with skwala dries have been very productive. For nymphing, a stone and a worm, or a stone and a small bug has also been producing fish. For small bugs, try flies such as pheasant tails, hare’s ears, copper johns, and lightning bugs, all in sizes 14-18. Click here for a little bit more detail on what flies we like to throw this time of year. As far as other options for fishing this weekend, we’ve heard some decent reports from rocky ford, and all the Columbia Basin Lakes. Chironomids have been fishing well as usual, but stripping small leeches will produce fish as well. Bass fishing around Ellensburg has also started to pick up, with fish willing to grab big woolly buggers, leeches, and bait fish patterns on a sink tip line.